Budget Airlines vs Full Service Airlines- Which one to choose and why? It’s that time of the year to plan for a trip overseas. The holidays have begun, and families would be planning for a quick trip aboard or a leisurely trip to a further destination. The first thing most would do would be to check for flights. 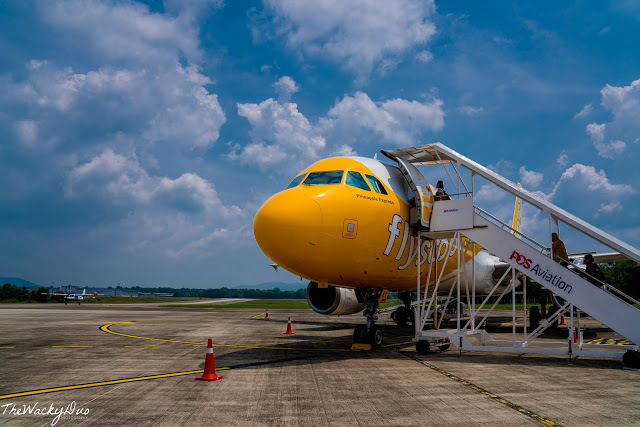 As much as we are patriotic and would love to choose Singapore Airline flights for their service and reliability, there are times when we will opt for budget airline instead. How do we decide if we would like to travel budget or full service? Here are 5 things we will consider when making up our mind. As a rule of thumb, if the destination has a flight time of under 2 hours, we would put budget airlines under our list. That would put Malaysia, Indonesia and Thailand under our list of possible countries with budget airlines. Popular destination such as KL, Bangkok and Bali normally has full service flights. However, in our past escapades, some destination only provides budget airlines. Take for example our trips to Ipoh and Cherating are by Budget Airlines. Nonetheless, from experiences, if you are traveling with kids, a short flight on budget airlines is workable. You can even consider stretching it to a 4-5 hours flight that would bring you to Perth, Hong Kong and Taiwan. Budget has even encroached on full service flights route to Japan, Europe and even US. However, we think that it might be a tad challenging with young kids as these airlines usually do not provide in flight entertainment or meals for the long flights. It is usually a no brainer when it comes to nearby countries. The difference in fares could be quite a bit even for an hour flight. If you are traveling in a family of 4, the cost quadruple. Sometimes it makes more sense to take budget for short haul flight to save a pretty penny. In addition, so watch out for the ‘hidden costs ‘in budget airlines. If you are traveling light, this would not be an issue. If you intend to shop like a typical Singaporean, baggage cost can add up. Other costs such as priority embarkment, food on board, can also be added. Most of the time, if you want all the frills, the price difference is negligible. It is best to compare tickets price online. Search Cheap Tickets Online and you will find travel portals such as Traveloka that allows you to compare price. This way it can save you both time and money. This boils down to personal preference. However, if you are traveling with kids, a full service might be a better option. The difference would be the in-flight entertainment, meals and baggage. Alternatively, take the iPad as entertainment with downloaded videos. Bring snacks on board and forget about the stroller for the trip. If you can manage that, budget airlines come to play. Longer flights and younger kids do not usually mix well if they are not entertained, so take that into consideration when choosing your flight. We had heard the horror stories of how budget airlines result in delays, missing baggage and generally minimum customer service. It may be just heresy as we had not experienced these on our budget flights. On the contrary, full service flights are not always 100 % reliable as we had experienced turnaround flights and delays of more than 6 hours on the tarmac. Nonetheless, we do recommend going for reliable names especially if you decided to choose Budget airlines. It may not be the cheapest fare you get, but at least you have a peace of mind. When that happens, book first, plan later . So, Budget Vs Airline. Which one would you choose?